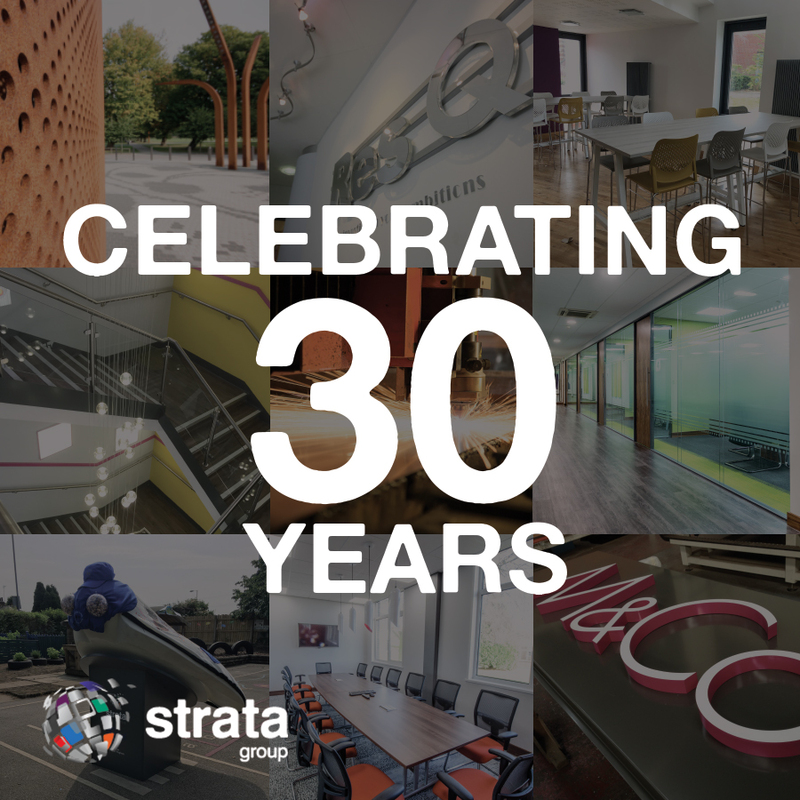 We are proud to be celebrating our 30th Anniversary here at the Strata Group. Since our initiation in 1988, the company has grown from strength to strength and we have made many great friends and clients and we are extremely grateful to have been a part of so many historical moments within our local community. From the installation and extraction of “The Blade”, through the design and manufacture of the Solar Gate, Electric Fence, along with the fitout of many local businesses, to helping so many companies stand out with their branded signage, we can truly say it has been a fantastic eventful journey thus far. We are proud to have had such a positive impact within the local business industry and to have played key roles within huge scale projects. It doesn’t stop here though. We have some very exciting projects coming up that we are really looking forward to sharing with you. For more information and to keep up-to-date with the work we will be carrying out in the near future, subscribe to our mailing list, or find us on social media where we will be sharing the latest images and videos of our projects and involvements. The Strata Group would like to take this opportunity to thank each of it’s six companies: Sovereign Signs, Pearlgreen Engineering, Ark Interiors, Officio Furniture, Gem Partitioning, and Stiga Electrical; our fantastic friends and clients; and all of the staff that help us reach and exceed our objectives. Here’s to the future!